SARAJEVO, Bosnia-Herzegovina (CNN) -- Champagne corks popped and people cheered in a downtown Sarajevo hotel as the word of the peace plan was announced Tuesday. "I feel super," said one woman. "I think it's time to finish the war." "Wonderful, I've never felt better," said a young soldier. "I hope I'll never have to lift a gun again." But the city has its cynics, too. "I don't believe in that. I'm skeptical, maybe because I'm from Sarajevo," said one resident. Earlier in the day, people were still hauling water and stacking wood as if there were no peace in progress. Sadness is expressed not only in the halls of power but on the streets of Sarajevo as well. "Now I feel very poor," said Harris, a Sarajevo resident, after learning of the peace agreement. "After all of this, it's not possible to reunite Bosnia, and it is very painful." 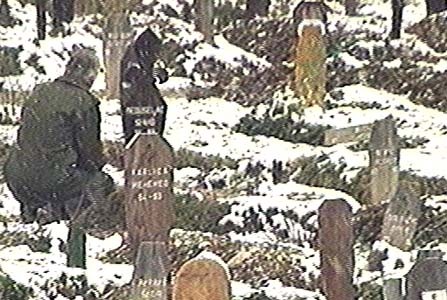 Painful because people believed they were dying to preserve a multi-ethnic Bosnia. War has changed that, ethnic cleansing has divided the country, and many fear this peace will cement it. "Certainly we would be better if the Americans didn't wait four years to get on this project," Ganic said. Ten miles way in the city Pale, seat of the self-styled Bosnian Serb republic, Bosnian Serbs were no happier than their neighbors in Sarajevo. Although Serbian President Slobodan Milosevic appeared on Serb television proclaiming a victorious separate state for Serbs in Bosnia, a Bosnian Serb leader blasted the plan. Momcilo Krajisnik, speaker of the self-declared Bosnian Serb parliament, told Reuters, "We warned President Milosevic ... that nobody has the right to sign that plan nor to accept those maps, because actually we are giving much more than we are getting." The comments raised concerns that the plan may not have the support of all those necessary to implement a peace in Bosnia. A final peace agreement is to be signed during a formal ceremony in Paris on December 4 or 5. If those who live in the former Yugoslavia were less than optimistic about the peace plan, their pessimism did not spill over into the United Nations, where the security council prepared to vote Wednesday on two resolutions designed to speed the peace process. One resolution would lift the arms embargo against all parties in the former Yugoslavia. The other would suspend sanctions.